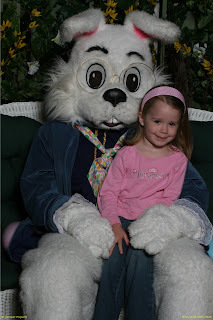 Emma and the bunny. Jacob was too scared...who can blame him?? !